Math is important and practicing facts and skills after school doesn’t have to be major undertaking. 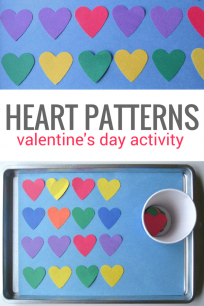 A quick trip to the dollar store and you can get all the materials for both of these activities that are easy to adapt as your child masters the material. 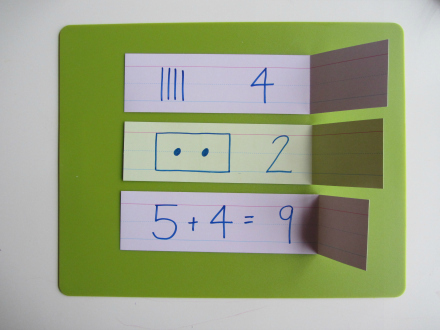 These activities are not geared to teach your child the material but to practice facts they know for speed and accuracy. Yes this is the realm of flash cards ( go ahead and giggle) and the perfect example of when they work. 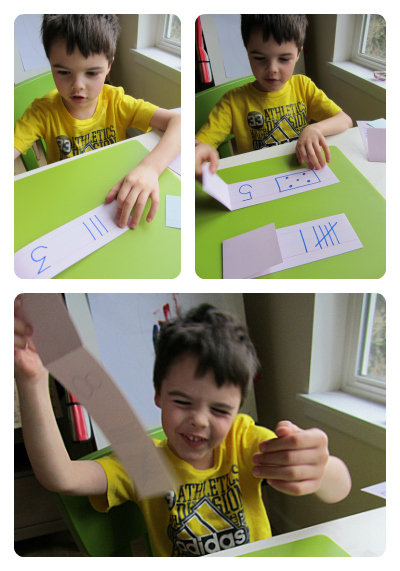 Subitising ( recognizing amounts without counting )and addition up to ten are both facts that need to be recalled not figured out by the end of Kindergarten and practice like this is a fun way to do it. Do not worry if your kids count at first that’s fine and natural just keep playing, keeping it fun and practicing until they recall it instead of counting. This is a novel way of working on a not so novel exercise. 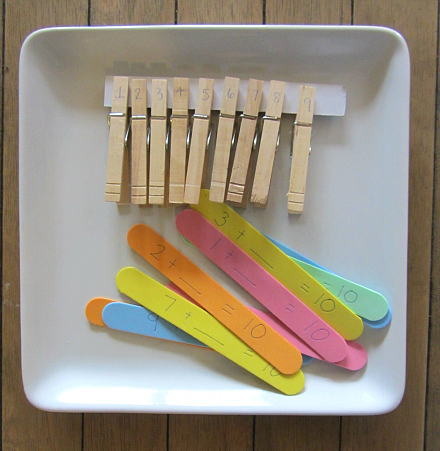 The clothes pins also add in a little fine motor work that children in the early grades can always use as they strengthen their skills for writing. Gather your materials. 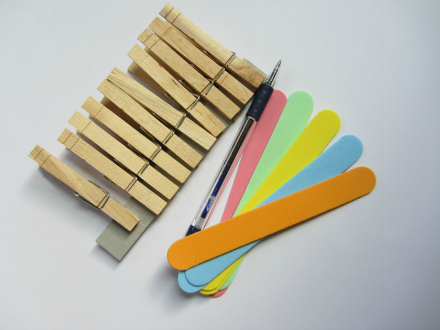 You will need some foam sticks ( large tongue depressors or simple cardboard will work too) , clothes pins, markers and a kiddo ready to practice. 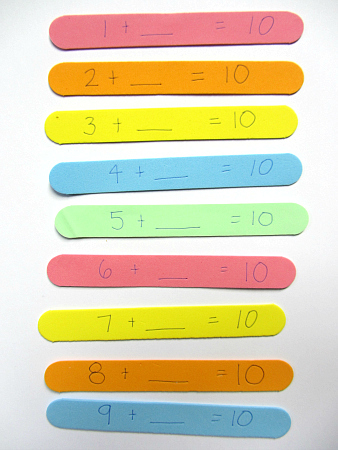 Write out equations that equal 10. Starting with 1 + _ = 10 up to 9 + __ = 10 . 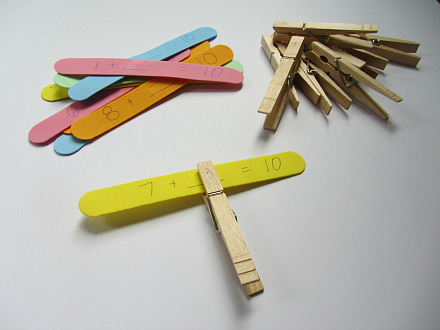 Write the numbers on your clothes pins. Set them out of your child. If you are just starting to work on these facts choose a few in order . Then next time move to all ten in order. We aren’t trying to get them to work it out we are trying to get them to respond automatically. Once they can do it in order easily mix it up the next time. My son loves math and quickly clipped them when they were in order. “This is easy.” So I mixed a few up and while he did it well it took him a little longer. As we play more it will get faster and faster. Not all of these flash cards are working on subitising but most are. For those of you unfamiliar with subitising it’s the ability to recognize amounts automatically without counting. Tally marks, dots like on dominoes and numbers represented by hand signals are the most commonly used. 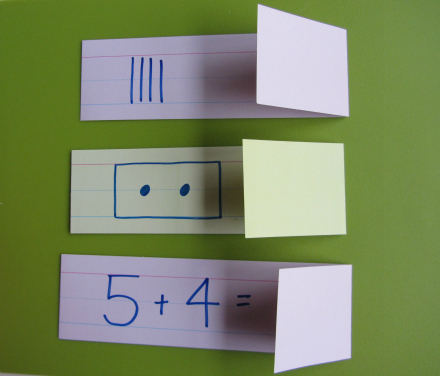 These simple folded flash cards lets kids practice alone if they want. Gather your materials. 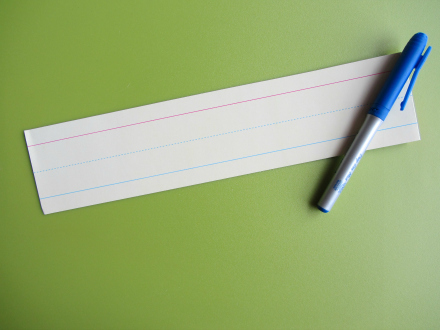 You will need some sentence strips a marker and a kiddo. 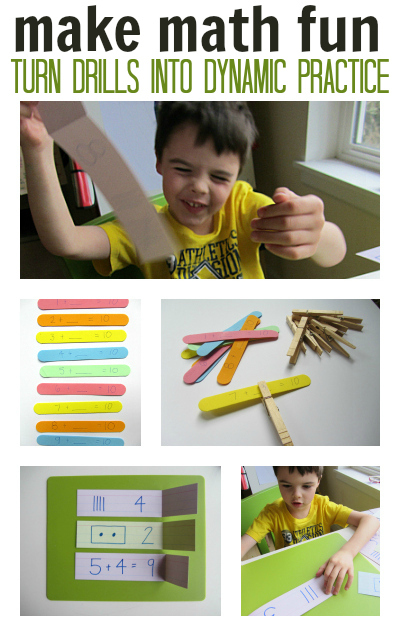 Write out equations, make dominoes or tally marks on the first third of the strip. Place the answer on the 2nd third and then fold. I made 14 for my son and he flew through them. I am making him 20 next time. Press the folds tight so there will be no cheating! Play. Clearly he thought it was fun . I was so happy to see that! Even though we are working hard to practice I am still not a fan of drill drill drill so keeping it fun, novel and as positive as possible is really important. 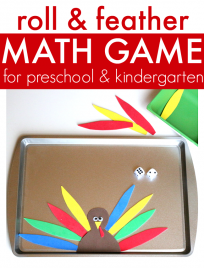 This side of math is my most hated and is what killed my joy for it as a child so I really want to make these activities as dynamic, light and interactive as possible so my son’s passion for math isn’t squashed. 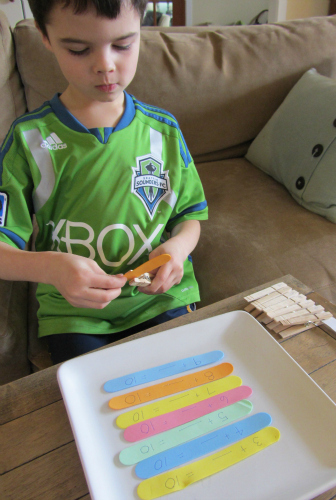 Previous Post: 15 Playdough Activities & Recipes Too! Thank you so much for sharing these ideas! 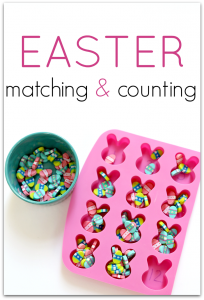 I have been trying to think of fun ways to practice math with my 1st grader and this is just what I needed. It worries me that she is starting to say things like, “I hate math.” or, “I’m not very good at math.” I want to do activities to build her confidence and make it fun. Keep the good ideas coming! You’ve been hit with a Liebster Award! Congratulations! The rules are on my blog. Enjoy sharing the love! Thank you for this fun idea! I had trouble with math when I was going through school & I want to try a different, fun way to help my girls enjoy math instead of hate it.